Why is the pond a pond and not a lake? The current definition of a pond is ‘an area of water smaller than a lake, often artificially made’. In mediaeval times, the term pond always referred to an artificially created body of water and a lake to a natural one. Although Fleet Pond may be larger than some lakes it is believed to be originally man-made, formed by damming an existing watercourse to build up a head of water. Was there a second pond? “The great fishery (of) Fleet Ponds” is referred to in the Rolls of Account of Crondall Manor in 1324, when there appears to have been a thriving fishery of considerable importance and two ponds. It has been conjectured that the combined surface area of the two ponds exceeded 200 acres. Where was the second pond located? There are two theories as to where the second pond was located. One places it to the north of the surviving pond, on what is now Ancells Park. 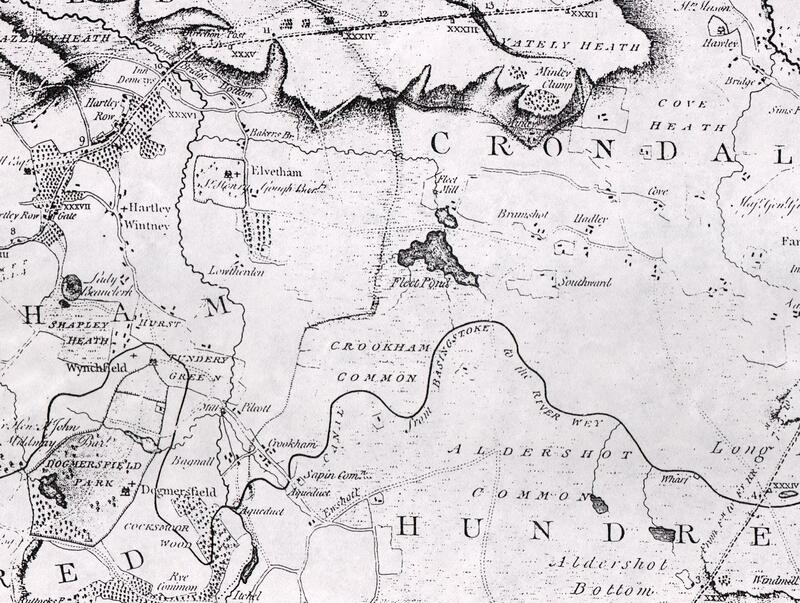 The other suggests it was to the south in Pondtail, citing the name as evidence. However, this is unlikely as the Pondtail area does lie at the tail of the present Fleet Pond, which extended to Westover Road into the late 1930s. What happened to the second pond? A document dated 1567 records: “the head of which said pond is now by a great storm and fall of water, utterly broken and carried away”. A great deluge had apparently carried away the dam and necessary repairs would require “great expenses of money, waste of timber and other charges, to make a new head to maintain the said pond as it has been theretofore”. A licence was issued “to ditch and fence in, enclose and convert the said pond into meadow, pasture or otherwise”. Damage to the other pond is not recorded. Who owned the ponds at this time? All the land in which Fleet Pond now lies was once owned by the Bishopric of Winchester. It formed part of the Crondall Hundred gifted to the Bishopric by King Edgar in 973 AD. In 1491, the Prior at Winchester leased Fleet Ponds and pastures to a tenant at Fleet Farm, for an annual rent of “a hundred of the fishes, pike, tenches, perches, bream and roaches, to be carried and delivered (to Winchester) in a good and fresh state”. This was later amended to 23 shillings and 4 pence, no doubt due to the difficulty of carrying fresh fish in barrels on ox wagons all the way to Winchester. The leasing arrangement for Fleet Farm, pasture, fishery and ponds (the plural was never amended) continued for some 350 years. If you have any questions regarding the history of Fleet Pond, please leave a comment below. 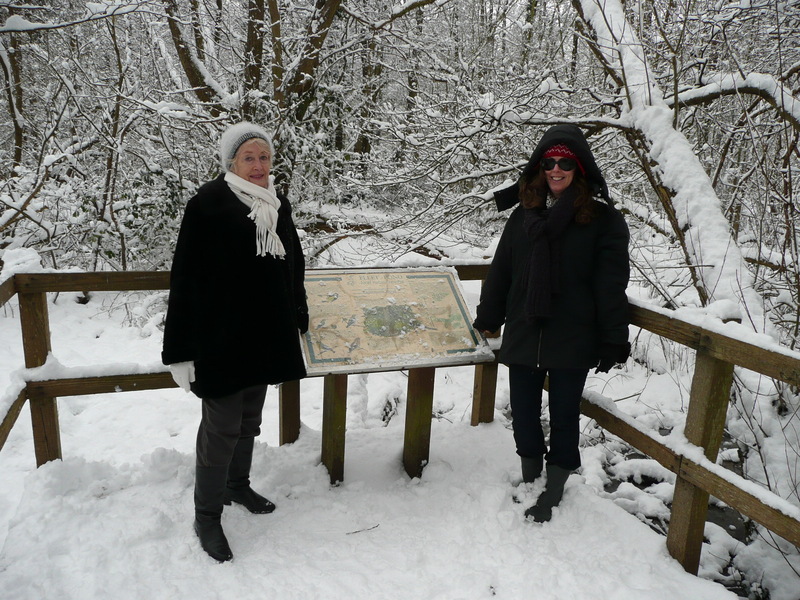 February Volunteer Event – Snowy But Bright! When we arrive at event sites we all sign in (see above). This gives us a record of who attended plus contact numbers, addresses etc. For those who leave an email address, a message is sent out prior to each event giving further information on it’s purpose as well as it’s detailed location. 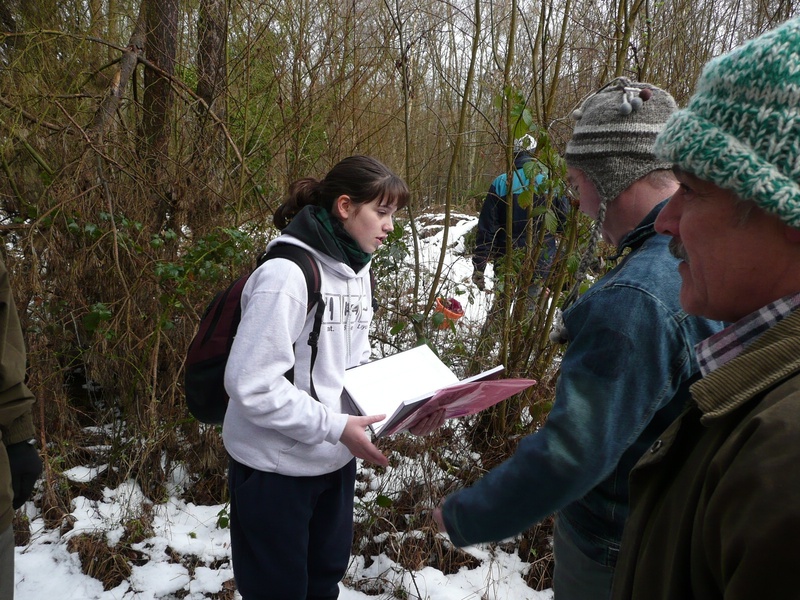 This gives volunteers an insight into the bigger picture and also allows feedback to the team leader. The picture below was taken at the event. We’d be interested to hear what you think it is – please send us a comment (see below) if you have an idea! 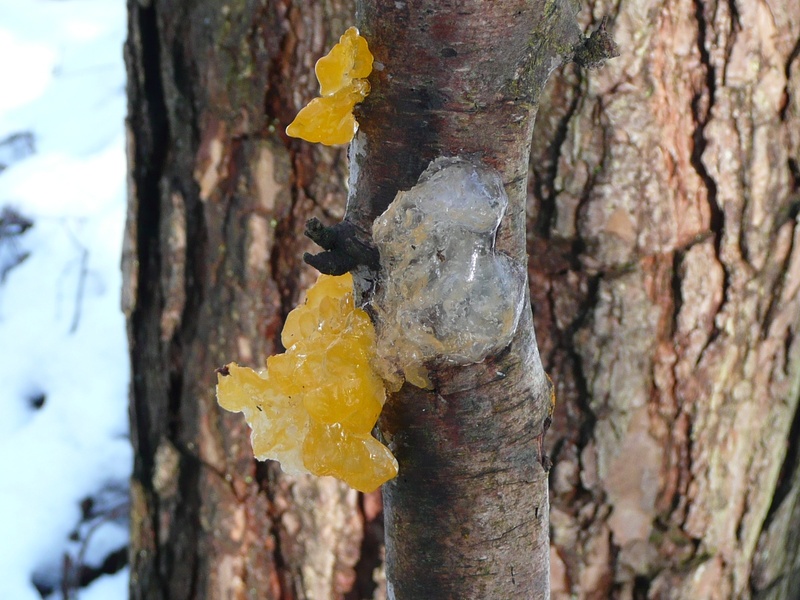 Picture: Spotted On A Tree – What Do You Think It Is? Fleet Pond Society looks forward to seeing members at the Annual General Meeting. This is an opportunity to meet the Committee and other society members to find out what’s been happening at the pond in the past year and what may be in store for the future. First up is the presentation of prizes to the Under 16 category of the Photographic Competition (so our younger members don’t have to sit through the official business of the evening). This is followed by a review of the minutes from the last AGM and any matters arising from these minutes. This is a very informal event and members are welcome to put questions to the Committee and join in the discussions. Colin Gray, Chairman of Fleet Pond Society, will update the society on the events and developments that have taken place at the pond over the last year, and report on any ongoing plans. Colin is always happy to answer questions and receive comments from those attending. The future of the pond depends on our members support. The Treasurer’s Report, the Election of Officers and other Committee Members, and Any Other Business follows – then that’s the official society business over for the night. After a short break for refreshments, we announce the Winners of the 2008 Photographic Competition. It’s always inspiring to see the diverse and imaginative interpretations of the category titles; I’m sure the 2008 themes of Shoots and Leaves, Reflections and Shadows, and Quiet Corners will be no exception. All entries received for the 2008 Photographic Competition will be on display throughout the evening, and I can assure you that there is always a wonderful selection of scenes taken from every conceivable corner of Fleet Pond Nature Reserve. Fleet Pond Society is made up of people from all walks of life. Some of our members donate their time as well as their money. 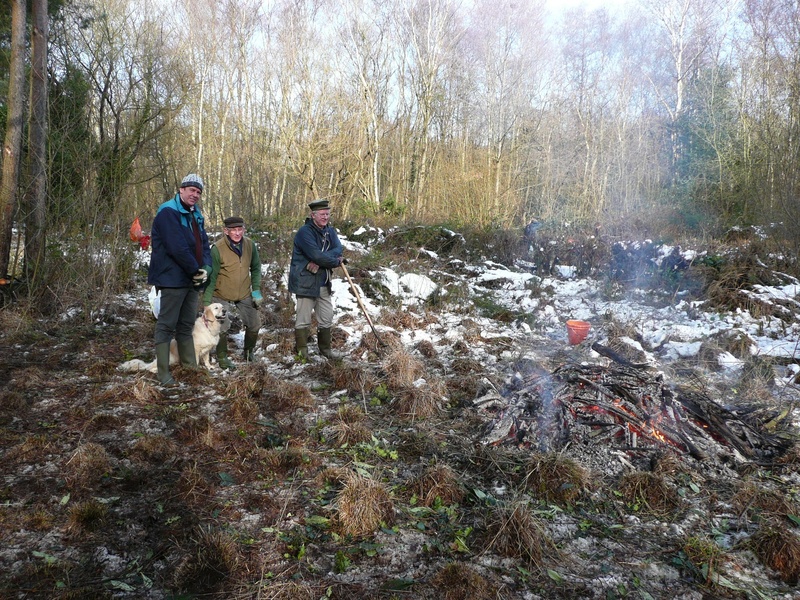 Conserving the pond involves a great many tasks including dipwell measuring, gauge reading, party planning, walk organising, letter delivering, litter-picking, account auditing, minute taking, newsletter editing, blog posting… and of course our merry band of conservation volunteers, who regularly chop, saw, burn, dig, erect and demolish. If you feel you could contribute in any way, we’d love to hear from you. We are currently looking for volunteers to help with funding research. A report into the restoration of Fleet Pond gave a figure of £3Million in order to remove the silt from the pond and improve the condition of the reserve as a whole. Whilst raising this figure may be way out of our reach, the report has listed smaller, more achievable projects. There are many avenues of funding available. We need help in researching these areas, and in consultation with the Committee, drawing up applications and bids. This is a challenging task that could be shared by two or more individuals. If you have any spare time and would like to help the pond, please contact Colin or myself. 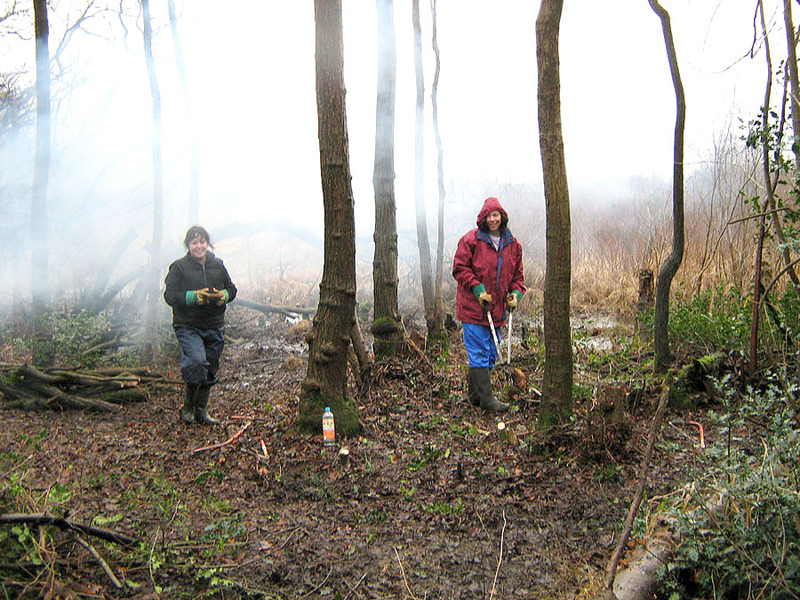 As we slowly move towards spring, our winter conservation work at Fleet Pond is drawing to an end. Much has been achieved over the last few months to improve and restore many of the wonderful habitats we are lucky enough to have on our doorstep! 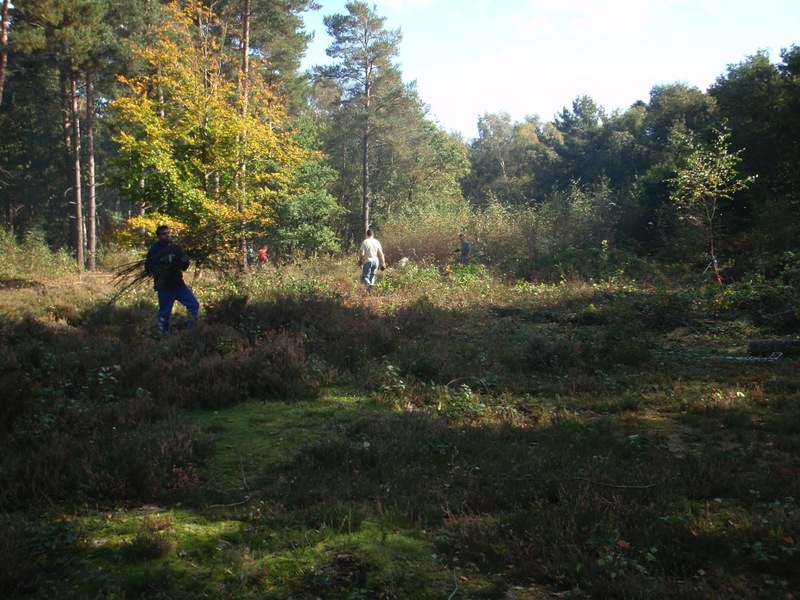 Restoration work has continued on the dry heath to improve this rare and valuable habitat. Fleet Pond Society volunteers, volunteer groups from the Environment Agency and Nokia, and Hart Countryside’s Ranger team have all contributed to the clearance of birch scrub on the heath, which in some areas was starting to take over! Although some islands of scrub have been left for birds and other wildlife to use, the removal of scrub is important to let the heathland plants like heather become well established. Stumps are treated with a herbicide to stop the birch growing back, reducing the need to do this work every year! Some species such as willow and aspen are left as these trees are valuable habitats in themselves for many invertebrates. If left to its own devises, heathland would readily turn back into woodland by a process known as succession. Fleet Pond was once surrounded by this type of heathland but the woodland has encroached on most of it. It is therefore very important to conserve and restore what we have of this rare and threatened habitat. Restoration of the East Marsh was mentioned a few months back in another blog post. The scrub in this section was cleared and scraped back in September to make way for important wetland plant species. The good news is that this area is already showing signs of new shots of reed and other species growing through. Another threatened habitat we have at Fleet Pond is reedbeds. 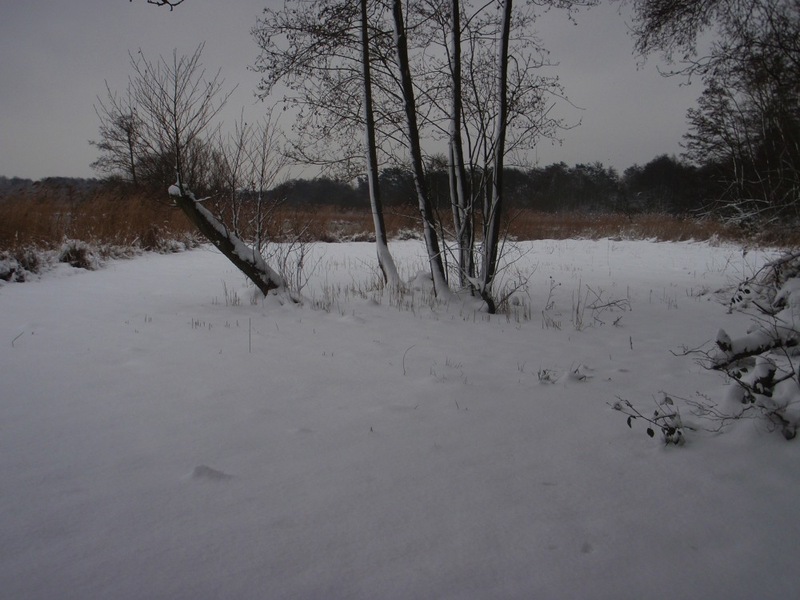 This winter we have cleared an area of reedbed on the western side of the Pond. The reasons for doing this form of management are as follows; to keep scrub under control and reduce succession, to maintain structural diversity, and to maintain the vigour of the reeds which is beneficial to species such as reed warblers. The vegetation that is cut is piled at the edges of the reedbed to be used by invertebrates, nesting wrens, and maybe the odd small mammal. 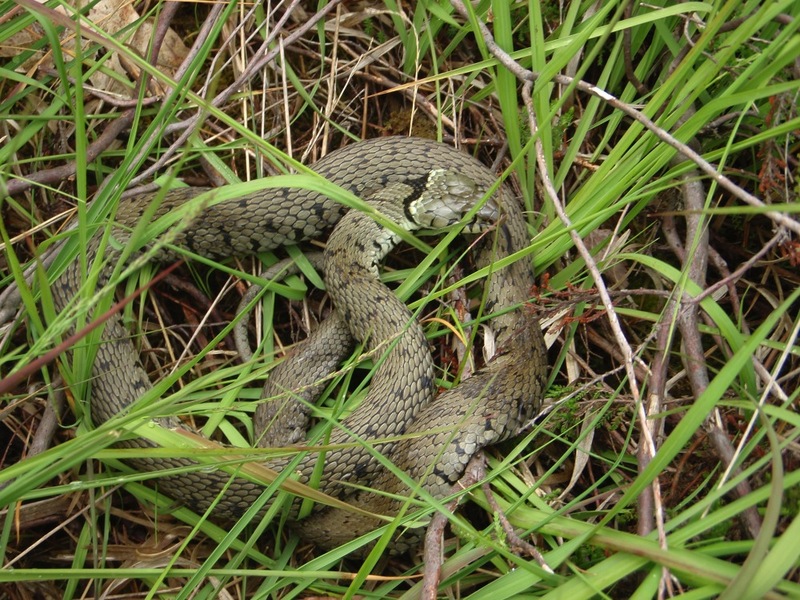 Grass snakes are commonly found in the wet reedbeds around the Pond and these piles also make great hibernacula for them to lay their eggs in. As the vegetation decays, it produces heat, (as any of you who have compost heaps will know!) which the snakes take advantage of to incubate their eggs. Over several years, most of the reedbed around Fleet Pond will be cut in small patches like this. This form of long cutting rotations is the best method for maintaining reedbeds while also optimising their wildlife potential by reducing disturbance. Reedbeds that are harvested for thatch need to be cut every year and therefore have less wildlife value. 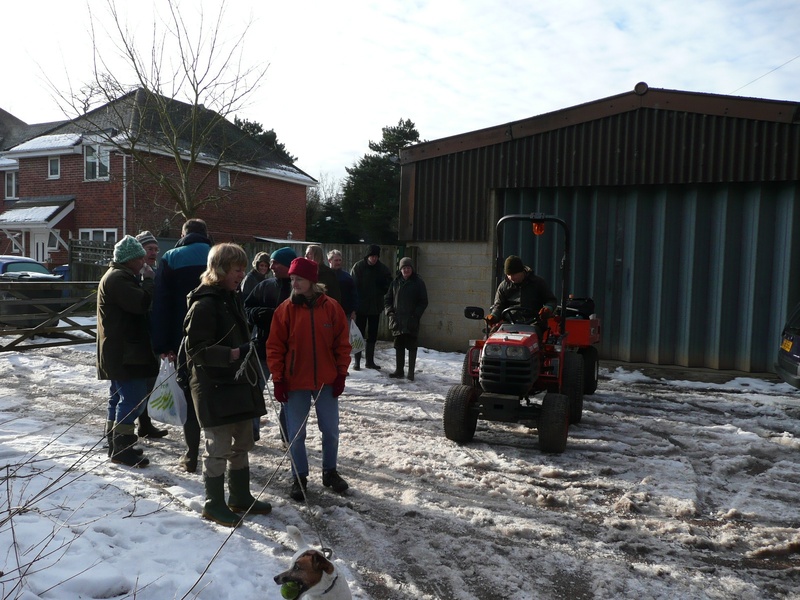 As ever, the Countryside Service has been supported this winter by Fleet Pond Society who have also carried out important work over the winter season. May I take this opportunity to thank all of those volunteers who have given up their Sunday mornings to help out in all sorts of weather! 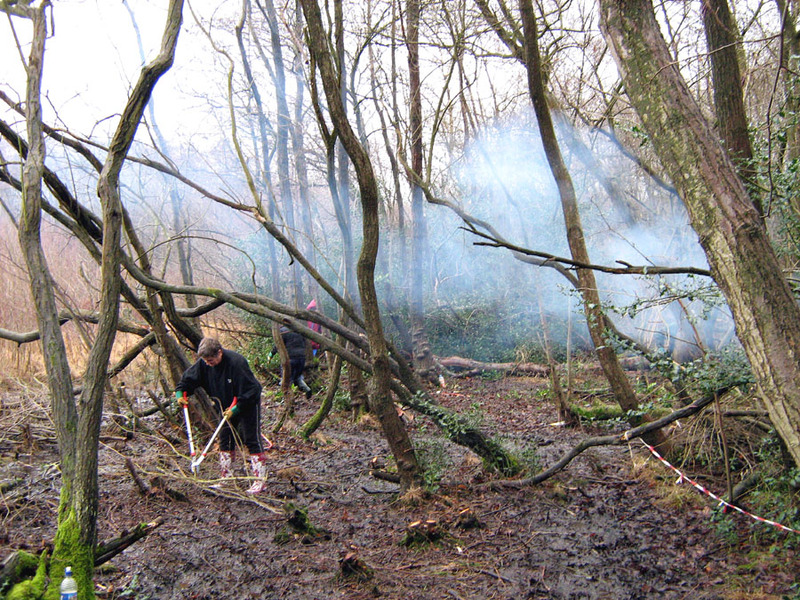 Basingstoke Conservation Volunteers had a work party at Fleet Pond on Sunday 25 January. Picture: Making The Most of The Day! 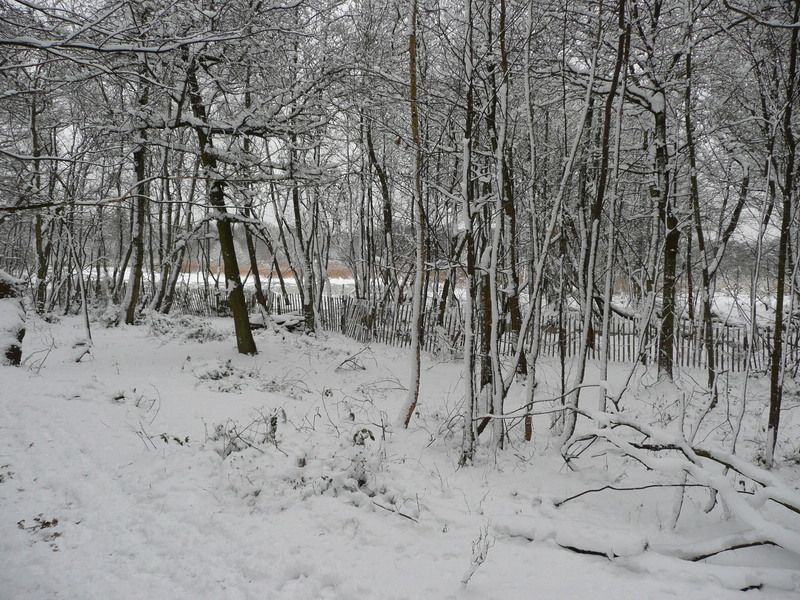 I thought I’d take a few photos around Fleet Pond today to capture the first fall of snow this year. Quite a few people were taking walks (eg see above) and all seemed to be greatly enjoying the change of scenery, especially the children! You are currently browsing the Fleet Pond Blog blog archives for February, 2009.